Home / The Buzz / Spaniel Bella goes for Guru! Finding the right food to give your dog is possibly the most important thing about owning one, different dogs will enjoy different things, but making sure that you’re feeding your dog a healthy and nutritious meal is something crucial for their overall health and wellbeing. There are so many popular dog food brands out there that many people put their trust in, without completely looking into the nutrition information, just purely trusting advertisement and popularity. But in reality, these brands are not as nutritious as people may believe, and aren’t actually helping our dogs much at all. 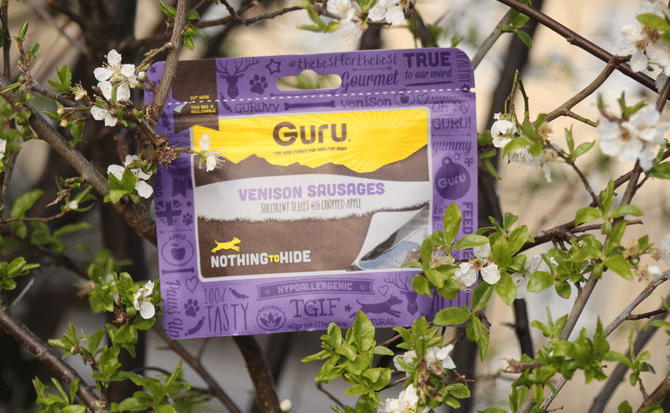 Guru Pet Food however, is now a food I can say I trust completely. Changing Bella’s diet to Guru Pet Food is a decision I wish I had made sooner, we have already noticed significant changes. Bella has always had a very sensitive stomach and even during the transition to Guru, we have found it easier to scoop that poop. 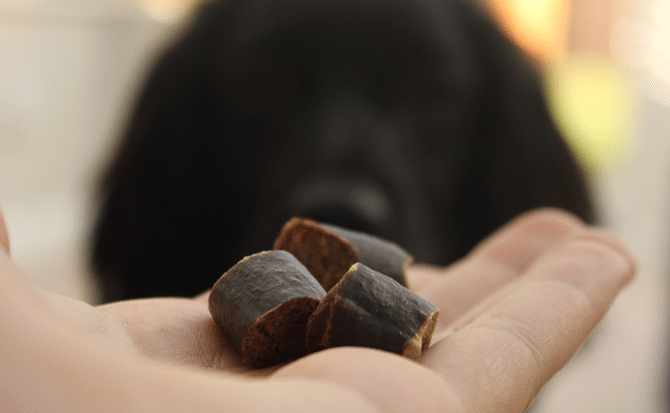 We are so delighted that we have discovered something that we can feed without the fear of Bella getting an upset stomach, which is also why we often feed these pieces as treats throughout the day too. 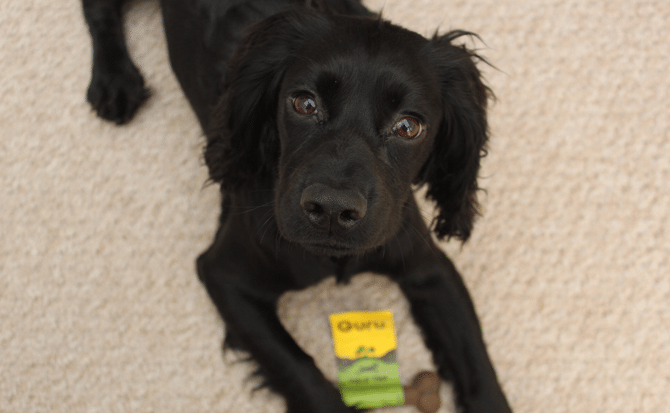 Why is Guru Pet Food different to any other dry food? 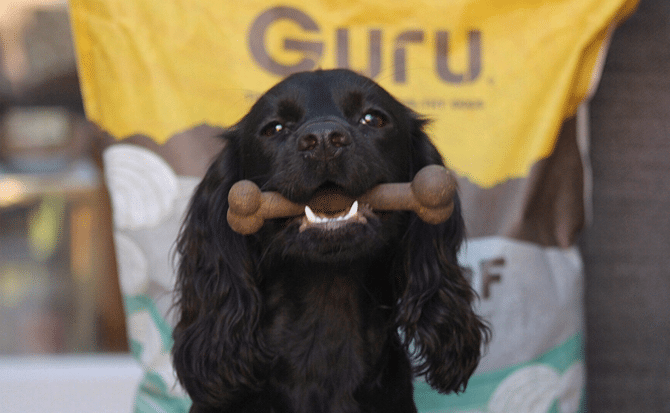 Well, the main difference between Guru and regular kibble is that it is cold pressed. Cold pressed food is produced using low temperatures instead of high temperatures which are used in the extrusion process. This means that flavours and nutrients are maintained and our dogs aren’t losing the vitamins they need, as they would with regular kibble. Follow Bella’s journey as a spaniel pup through her adorable Instagram HERE and dog blog HERE.